Dress in a polyester and nylon blend with a soft and delicate feel. 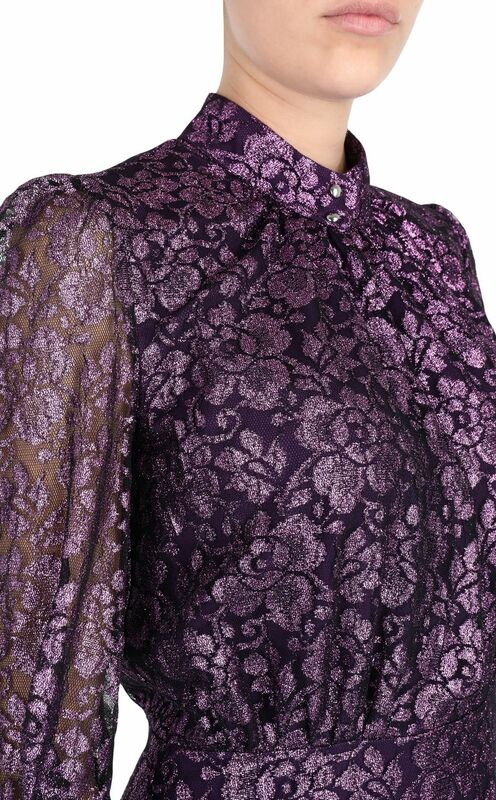 Slightly sheer, three-quarter sleeves that features the floral print of the entire dress. Concealed slim belt at the waist to accentuate the silhouette. Mandarin collar. Regular fit.